Antivirus provider Webroot is causing quite a headache to customers today after a security update mistakenly flagged crucial Windows system files as malicious and moved them to quarantine. The company said the technical error propagated for 13 minutes starting at 11:52 a.m. MT on Monday, and that a kill switch within its systems kicked in to stop more systems from being affected. The result was thousands of users with unstable or outright unusable machines as well as hundreds upon hundreds of complaints on social media and the Webroot community forum. 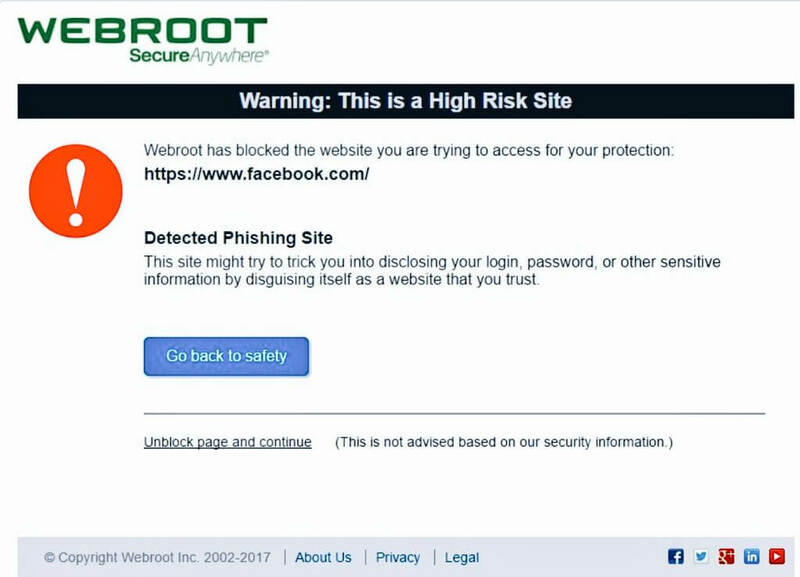 There are also reports that Webroot misidentified Facebook and Bloomberg as phishing websites and blocked access to them. The company has since posted a fix for its small-business customers on its community message board. It is also warning customers not to uninstall the security software or delete what was in the quarantine, which would make the files unrecoverable, and asked them to keep systems connected to the internet. The company is posting updates on the issue here. Those who need to address the issue immediately manually are advised to follow the instructions posted on Webroot Support.